The world famous author of the "Tznius Book" has struck again. By that I mean that just as he had taken women and girls who considered themselves quite Tzonu'os, and made them into provocative ones who cause men to sin, so too with this book. While recently visiting a doctor's office I noticed his book on a Chosson and Kallah and the period between engagement and wedding called וארשתיך לי בצדק, and was immediately drawn to it. I'm b"h happily married for a number of years, but I guess I wanted to see if I was a good boy during that time. It turns out that until you get to the part about proper conduct during your engagement you need to be on your third visit to that doctor's office, and I didn't have all that much of a wait anyway, so I didn't get very far. First there's much talk there about the general code of conduct between men and women, which is of relevance to me now, as well as to most of you, since many of us do work in offices and interact with women daily on a professional level. What bothers me is as follows: If you work in an office and there's a secretary there, or any other female employee for that matter, whether Jewish or non-Jewish, there are times when the mood there is a bit lighter. You need to interact and deal with her as you'd do with any other human being, this isn't a grocery in Williamsburg where you can throw the money on the counter. There are times you need to make light conversation, and there are times you need to congratulate her, for whatever reason. I realize that most of what he says is basic Shulchan Aruch, but he seems to be going overboard with his Psokim. Here's what I mean (and please don't attack me as not caring about halochoh.) He quotes the Shulchan Aruch and Poskim like the Beis Shmuel who make any kind of interaction with women Avizrayoo DeGiluy Arayos and transgressions of the Lav of Lo Sikrevoo LeGalos Ervosoh. Shalom Auslander is a kid from Monsey who ran away from G-d. He sees G-d as many of us do, one who punishes and kills, but most of us try and appease him instead of running away. He chose the way of Yonah, but G-d hasn't sent the whale yet. It seems from him that what we say about the soul not allowing one to rest is true. See how tormented, and even obsessed, he is about being born to a frum family, and what he was taught in Cheyder in Monsey, it plagues him mercilessly and allows him no rest. I wonder if he'd been taught a bit differently, namely that G-d is not all about punishment and death, if he'd have turned out differently and even have made a positive difference to the Jewish community. I Thank CE for sending me the link to his book of memoirs. I had a friend once, back in high school and for a number of years afterwards. We eventually went our separate ways, but there were times when we communicated quite a bit. He was intelligent, curious about things that most classmates didn't take much interest in, and he was full of life. He had energy, he had his own rules, and he had a strong desire to be extraordinary. He was confident there wasn't anything that he couldn't do, but he knew that he didn't want to do what everybody else was doing. He didn't like regulations much; and although he wasn't anti-authority per se, he preferred not to take authority seriously. When he was happy he was very happy, and when he was down, he was very down. He believed in himself, and he wanted to find an outlet for some deeper energy that was bottled up inside, but he was sure that it was somewhere off the beaten path. He wanted to understand himself, he wanted to understand the world, and he wanted to understand reality. He looked in many places, but after being raised in a frum community he suspected that the answers were elsewhere. Sadly, his father was extremely sick since he was a child, and as a result he didn't have a father in his life. In school he was, at best, pitied by the faculty. Living in New York – where it's easy to be overlooked – he was more or less left to his own devices. His mother, a special woman, was as caring and dedicated as she could be (her situation is one that I cannot imagine, and this was only one element of the complexity of her circumstances), I don't know how she managed to cope, but she did an amazing job. He wasn't neglected, and he wasn't disliked. But outside of his home he WAS underappreciated, and he could have used guidance, which he ultimately found elsewhere. Often, when I ran into former classmates, they'd ask me about him, but unfortunately I had to tell them that we'd been out of touch for a while. Many rooted for him – he was daring, without fear, he often did what nobody else would try. Everyone who knew him thought of him as unique and everyone wondered where he would end up… myself included. He experimented with many things. 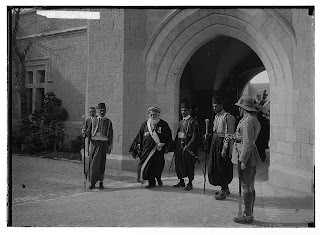 He traveled to various places around the world for long periods of time. He tried his hand at various ventures. He read, he enjoyed many genres of music, he made unique friends and acquaintances – many of whom really cared about him. The years passed and, unfortunately, I don't think he felt that got very far when all was said and done. I can't remember all the things we spoke about in the hundreds of hours that we conversed, but I remember him telling me – at least 10 years ago – that he had broken his fear of death, quoting Shakespeare's "Julius Caesar" (which might be surprising, because when we studied it in class he was seldom there): "A coward dies many deaths, a hero dies but once." Tragically, he recently died a violent and horrific death in the NYC subway system, 34 years old. May the Neshoma of Gershon ben R' Mordechai Leib rise up to the heights, TNZB"H.
I realize this may be going out on a limb, but it's worth the duscussion. 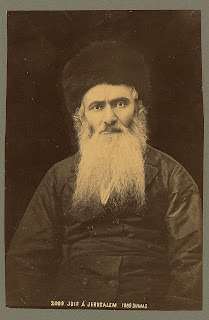 The Darkei Tshuveh of Munkacs passed away in 5670, a time when there still quite a few Rabbonim of Chassidic stock that could've given him an approbation for his Sefer. The sefer was published while Reb Yitzchok Elchonon of Kovno was still alive, which means it was first published before 5656/1896. Yet, for some reason he travelled to far away Lithuania - or sent a copy of his sefer - to yes, some of the greatest Rabbonim of the generation, but all non-chassidim. There's an Haskomoh from Reb Yitzchok Elchonon, Reb Shlomo HaCohen the Vilner Rosh Beis Din, and a third whom I can't remember right now, (who may in fact have been from Chassidic background based on the Ittinge name) without the sefer in front of me. Did Chassidim suffer from the inferiority complex that the Torah was given in Di Lita, and that only there could he find the approbations he needed for his work to be accepted? Then again, maybe I'm paranoid. It might just be that. 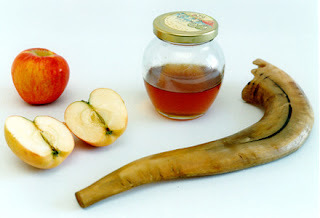 Sorry about not posting Rosh Hashonoh wishes on Wednesday, I was busy doing Tshuvah for all my misdeeds. I am human after all, contrary to popular belief. I also procrastinate, so I missed the Tammuz early-bird specials. I've declined to edit the message I got in order to retain the authenticity. Please try and ignore the Apikorses that may appear in the proceeding lines - HT. As before every jewish holiday the question arises "where can i bear to be for yontif?" in answer to this age-old dilemma the COMMUNE ON CONEY, 744 coney island ave., is willing to throw its doors wide open. sheepshead, wine, and of course, wine. join us as we all raise our voices to heaven in unison: "STOP JUDGING US"
Ad Kan the message I got. The message is not very clear as to who and what needs the help, but you may know them. They're the men and women of "Chulent, Inc." who haven't a place to spend the YomTov davening and meals. Yes, the message and appeal is childish and tired, especially the cliches like "stop judging us," and "wine and wine," but they do need our help. Please open your wallets, and help make this happen. Even if they're trying to "confuse" G-d. I am not a mental health professional, but a number of comments here need a tikkun. Firstly, seriously sick people are not necessarily homeless or on the street. In the secular world many of the college students who kill themselves are good students from wealthy families, who are tortured and tormented internally. As in religion, chitzonius is not a good indicator of the state of ones pnimiuth. Next: As far as walking on the subway tracks; it reminds me of a vort by the mashgiach of Baranowitz Rav Lubchanski HaYad. If you see someone crawling in a window at night call the police. Here too - no normal person walks on subway tracks. Repeat that: no normal person walks on subway tracks, just as no normal person takes a half bottle of a drug. Not living in CH I hardly know the psychological turf, but perhaps I can make several comments. If the kids at universities need Chabad houses for drop in and psychological help why not open a Chabad house in CH with the facilities that a Chabad house has in California, to help drug abusers and troubled kids etc? Lomoh Nigre'u?! Trained professionals are needed, but they alone cannot do the job. The parents and teachers need to recognize serious psychological problems. Finally my pet peeve: does not anyone in CH land realize that after 50 years of a Rebbe larger than life not only leading them , but dictating their lives , many can not manage under the new regime where anything goes? Add to that a dose of immediate Messianism and a dose of the "Rebbe is really alive" and you have a nice "kompot" to the mental problems everyone in the USA suffers. Perhaps one day people will wake up in Lubavitch and realize that without strong spiritual leadership Lubavitch will just develop into another variation of an American religious community (Modern orthodox.) Or it can take steps to seek serious spritual leadership and remain a Chassidic unit rooted in 7 generations of leadership. a gut yohr to all. Another young man from Crown Heights just took his life in the bowels of the NYC Subway System. That makes 2 in a week. Just beautiful. I guess dying in CH is also a zach, not just living there, they both made sure to do it right in front of Bais Chayeinu. I'm not here to point fingers at anybody like some of the "do-gooders" are, nor do I have the answers like some claim to have. I do however know that people need to want to be helped, offering it doesn't do the job. I happen to know who the young man was, and we had a close mutual friend. (I still have the friend, b"h.) The friend tells me that he was a "textbook case" of a suicide waiting to happen, and the now victim also knew it. It was just a question of when. There are millions of others just like him, but for some reason it was held in check in our communities for the most part, people just lived out their lives with their respective conditions. Now it seems that tide too has turned, and young frum people are seeing suicide as an option. This is bad. 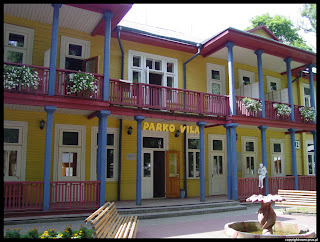 Druskenik - aka Druskininkai - is a resort town that featured some of the greatest Geonim of the generation during the summers. Marienbad was far, and full of Chassidim too. Look at the picture and imagine the street filled with such personalities as Reb Chaim Ayzer z"l of Vilna, Reb Shimon Shkop, Reb Boruch Ber of Kaminetz and the Kletzker Rosh Yeshivah, redden in lernen with young Talmidim. Doctors in Poland often advised their patients to recuperate in Druskenik, a town surrounded by forests and blessed with "dry air". As it was close to both Grodno and Vilna, Reb Shimon Shkop and Reb Chaim Ozer used to vacation there. And so did Reb Boruch Ber of Kamenitz and Reb Aharon Kotler also spent summers there. 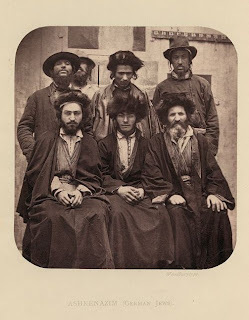 (Thus all the photographs in circulation of Gedolim in Druskenik.) The local Jewish citizenry waited all year for the summer months when every house became a "hotel" and every bit of space was rented out. Nonetheless, a ben Torah in need of a datcha was never at a loss, for the local Rav and his son headed a committee to arrange free room and board for b'nei Torah. As a result, a "yeshiva corner" developed in the forest, away from the more vulgar goings-on. When I (Rabbi Nissan Waxman of Petach Tikvah - HT) was a student in Baranovitz, I asked the Mashgiach for permission to vacation in Druskenik, adding that I had a relative there, so I would not be a burden on the committee. He granted me permission for a two week datcha. One morning while I was there, news spread that Reb Chaim Ozer was coming. 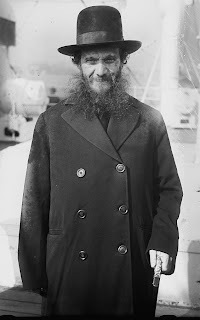 The local Rav always had difficulty finding a suitable house for him, for although Reb Chaim Ozer claimed to need only a bed for himself and a bookcase for his sefarim, the Rav knew better. 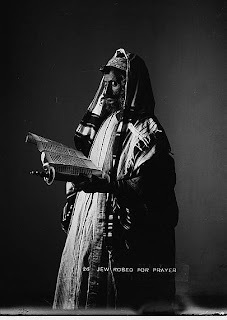 Reb Chaim Ozer not only headed Polish Jewry, he was the leader of world Jewry. The hundreds of daily letters with all sorts of questions and problems had to be answered - even in Druskenik. Nor did the lines of visitors, dignitaries and government officials stop because it was summer. 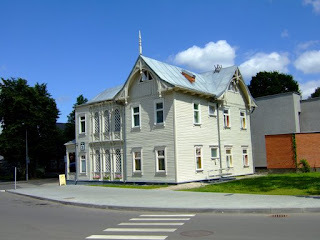 The Rav finally selected a house of suitable stature, close to the "yeshiva corner." A group of b'nei Torah kept a vigil on the house, waiting for the tzaddik's arrival. Finally the local Rav and his son brought him from the station, and we found his bearing striking - a rather short man with an unusually large head ... I was reminded of a description of the Sha'agas Arye, as possessing a large head, out of proportion to his body. His face seemed to glow with wisdom, his eyes full of goodness. Reb Chaim Ozer and the Rav entered the house while we remained outside. When they came out, we could hear him saying to the Rav, "I cannot accept the house. First I must check with her." Someone whispered that the local Rav was out of step, and should have shown the house to the Rebbitzin. 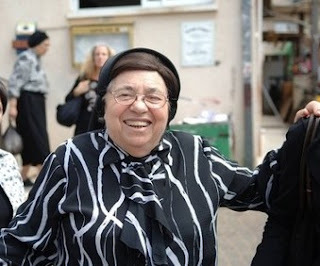 - But isn't Reb Chaim Ozer a widower? whispered another bystander. - Then, who is this "her"? 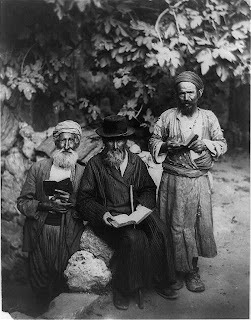 It turned out that Reb Chaim Ozer had been referring to his cook. The kitchen was a distance from the dining room, and he feared it would prove too tiring for her for serving. In Eastern Europe, no decent man would eat in the kitchen ... Eventually, the cook arrived, loaded down with her pots and pans, and she gave her approval to the quarters. So the Tzig was caught "speeding" by a Sheriff's deputy a couple one lazy Sunday afternoon, and was told to show up in court a few weeks later. I guess when you live in a non-crime area cops still need to earn their keep somehow, and property taxes can only go so far. So they lie in wait for us. Let me tell you; night court is not what you thought it was, and make sure to bring a chair and a good sefer/book, because you may be in for an "all evening" wait with nothing to do but stare at the ceiling and walls. However, being that this was my first visit there, and hopefully my last, I wasn't privvy to that information and came empty-handed, thus subjecting myself to an evening full of grunts and sighs. G-d, however, did not foresake me, and put right behind me online a group of very interesting Jewish characters: Yiddish-speaking kids from New Square who look like kids from the Five Towns, and probably never want to see that little village again. 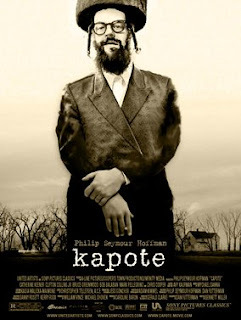 Don't get me wrong here, nowhere am I saying that I fail to see the epidemic of dropouts within the CH/Lubavitcher community, but what I saw seems to buck conventional wisdom, namely that as long as you shelter your kids they'll turn out as pure as the wind-driven snow. There's a story told of a young boy, the son of a Porush who was sheltered - literally for eighteen years. He was locked in a room and was taught and learned Teyreh all his days and nights. His Bar Mitzvah was held in his room, with a Minyan attending. When he turned eighteen he was ready to get Semichah from the local Rov, but needed to go to the Rov's house and get tested, since it wasn't considered respectful to have the Rov come to him, even in such an extreme case. So the young man left his home for the first time and walked with his father through the town's streets. Suddenly the boy - who for some reason was not blindfolded - sees a Vaybel walking along and is, um, intrigued by the sight, since it's his first time. So the lad asks his father: "Tatte, vos is dos?" so the father answered: "ah katshke." The kid accepts the answer and continues walking. A few minutes later he tells his father: "Tatte, koyf mir a katshke." VeHaMayvin Yovin. What I saw with these kids at court, and the discussions about their indiscretions in Yiddish they were having for all to hear, is that as soon as they no longer feel need to worry and care what people in their community think about them they're outta there! (Let me tell you: You haven't heard about a rock concert, the state of a New York baseball team, and about the um, attractiveness of a female, till you've heard it in New Square Yiddish!) They no longer care about anything Jewish, let alone the color of their shirt or the length of the skirt. They believe nothing about what they were taught to be the truth, and they make new lives for themselves. That leads me to believe that in today's day and age the concept of teaching Yiras Shomayim is over, all there is Mah Yomru HaBriyos, and that can only go so far. Granted, it works for many/most people, but when it fails steer clear, because it crashes with a vengeance. Many educators will tell you that it's the only thing that works, that the only way you keep kids in line - and adults for that matter - is by making feel uncomfortable if they step outta line. (They'll also tell you that the problem in CH is that no matter what people do, and what they look like, they NEVER seem to feel uncomfortable, but we'll leave that for another time.) The Alter Rebbe in Tanya speaks about not serving Hashem for reward or fear of punishment, and many "open-minded" Lubavitchers seem only to want to reach that level. They'll never do it just because the Torah says if they don't feel like it. How silly of them. But just as silly is doing it ONLY for the all the wrong reasons. Mentalblog is dead. Long Live Reshimu! I understand all the hard work that went into it, but I don't like it one bit. It's tough to follow, and you need to weed throught all the stories just to find one you might like. Bring back the old.